We at Skin Care Cymru are passionate about raising funds for medical research, education and the spreading of dermatology knowledge across and on behalf of the whole of Wales. 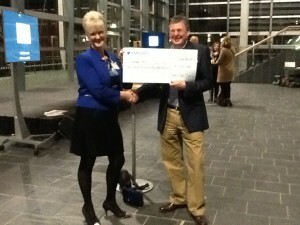 Recently post-graduate student Isabel Saunders received a cheque from Skin Care Cymru. Isabel applied for the grant to help towards the publishing of a full colour illustrated booklet on skin conditions to be given to medical students. 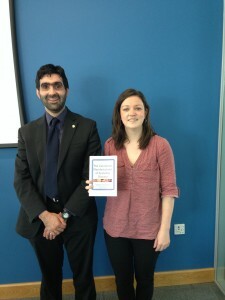 The photo shows Isabel with her supervisor Dr Avad Mughal. Glenda Hill of Wrexham Maelor Hospital receiving a cheque from our Treasurer Rob. Glenda used her grant to help to fund her attend the World Dermatologist Conference in Vancouver. Follow the link to read Glenda’s report from the conference. If you want to find out more about applying, please click here for small grants and here for the Barry Statham Award.